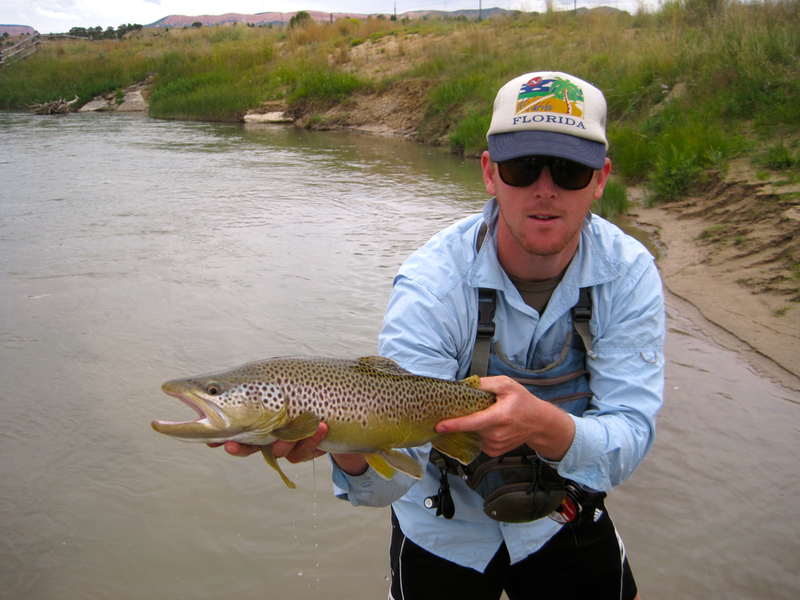 Kicking it at Kyle’s GP’s house in Southern Utah was like waking up to a private brown trout heaven. Like most ranchers I’ve met, Kyle’s grandparents had welcomed us into their home, fed us country style and gave us access to their ranch for a day of fishing. Does life get much better than this? Really though, home cooked meals and great water to fish, I’m cool with this I thought as we headed out for the day. I’d been wanting to fish some Southern Utah streams and rivers for awhile now so I was excited to finally get the chance. 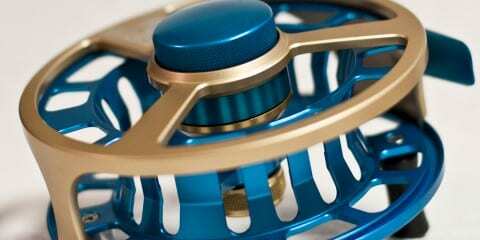 Kyle had never fly fished here before so this was something new to him. 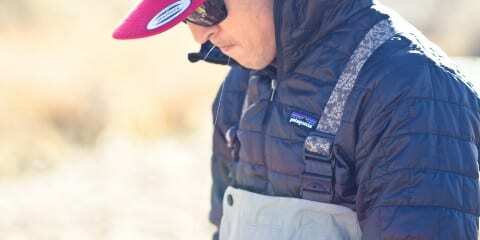 He had learned to fish here but since he had picked up the long rod had never been back to test it out. We figured we would start off up stream in a smaller section and come back to Kyle’s a little later in the day. Things started ok with Kyle landing a fish on one of his first casts, Matt followed suit and then things started getting tough. We hit all the fishy water and everything else along the bank but the fish were playing hard to get. 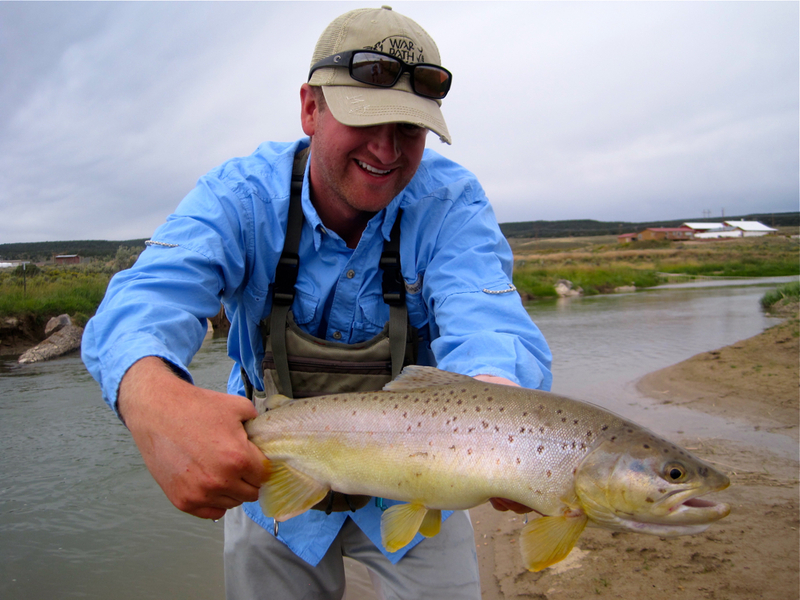 After a few hours without much going on we headed back to the ranch to fish Kyle’s money water. We talked tactics and decided we would start off throwing streamers and if nothing happened would try nymphing big bugs in the off colored water. 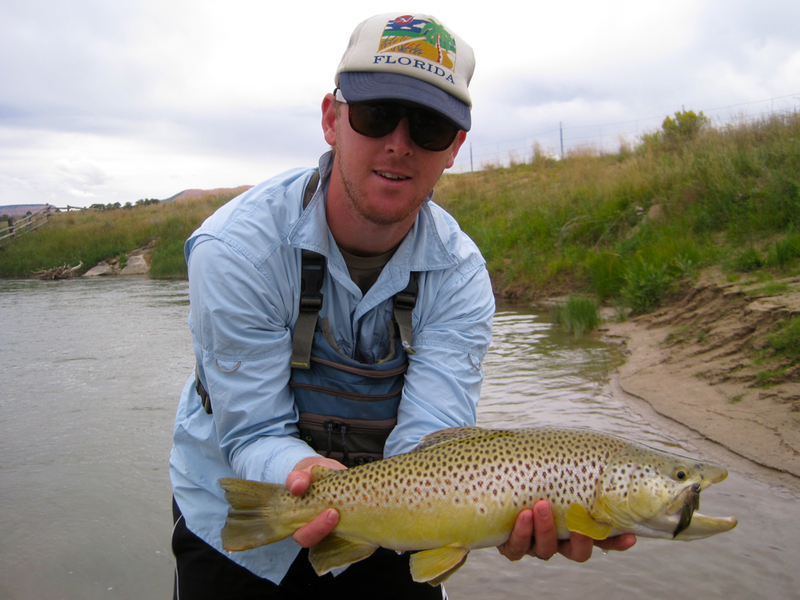 Kyle walked up to the water’s edge, a nice pool that looked promising and first cast hooked a good brown. He landed the fish, which stretched about 18″, not a bad way to start the section off. The day never really slowed down from there. Working our way upstream every good pool that should have a fish did and it was willing to play. Another hole, deep and long with a good cast placed toward the other bank and Kyle was back on line. 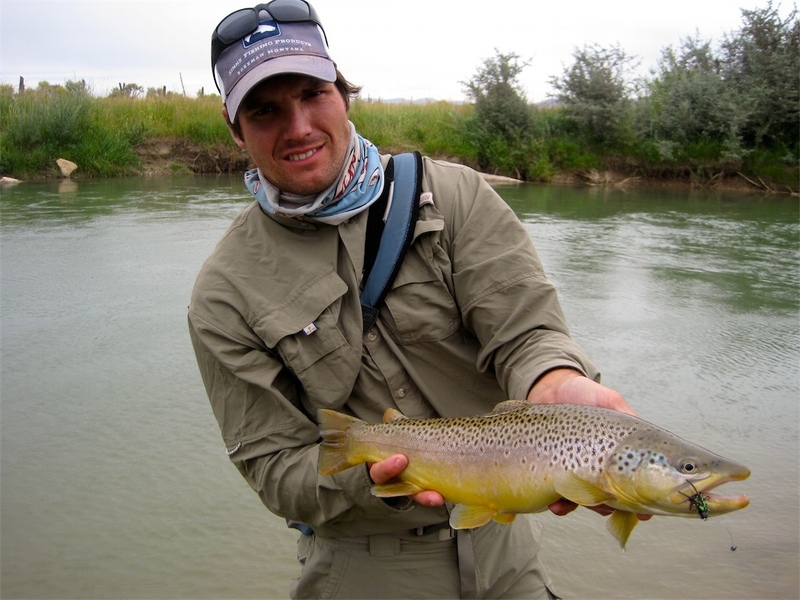 This fish was a little bigger going about 20″ and solid in proportions. 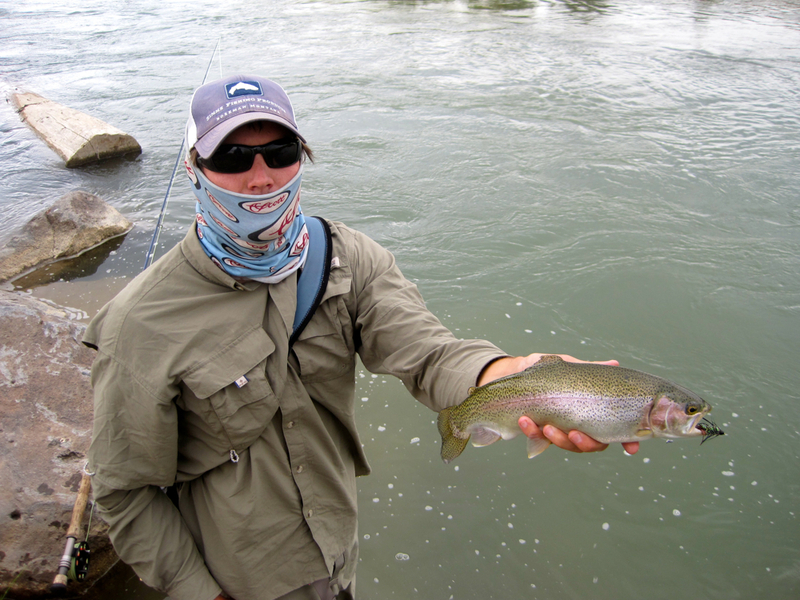 Not long after Kyle landed his big fish we rounded the bend to a nice looking pool. At the head there was a riffle and part way through a deep section with a slight undercut with a log hanging part way over it. I casted to the head and let my bugger sink down and as soon as I started stripping the fly was violently crushed. The fish wasted no time sprinting down river trying to hit every snag available to break me off. I applied steady pressure and worked the fish into the shallows. 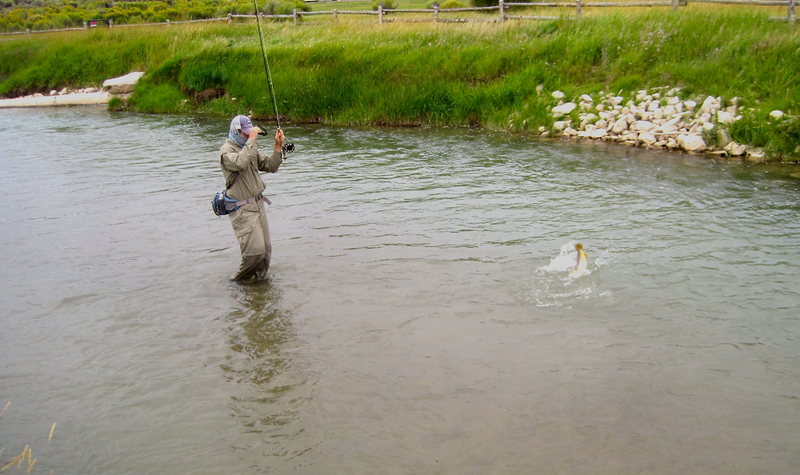 As I reached out to net the fish it gave one last evasive maneuver jumping and head shaking…. it worked! I lost it right at the net, haha. I laughed as we knew it was the fish of the day at about 22 or so inches. No worries, I had my fun and although not a “catch” it was good enough for me. Matt walked up to were I had hooked up and on his first cast through the run hooked up on a good fish that refused to give up. 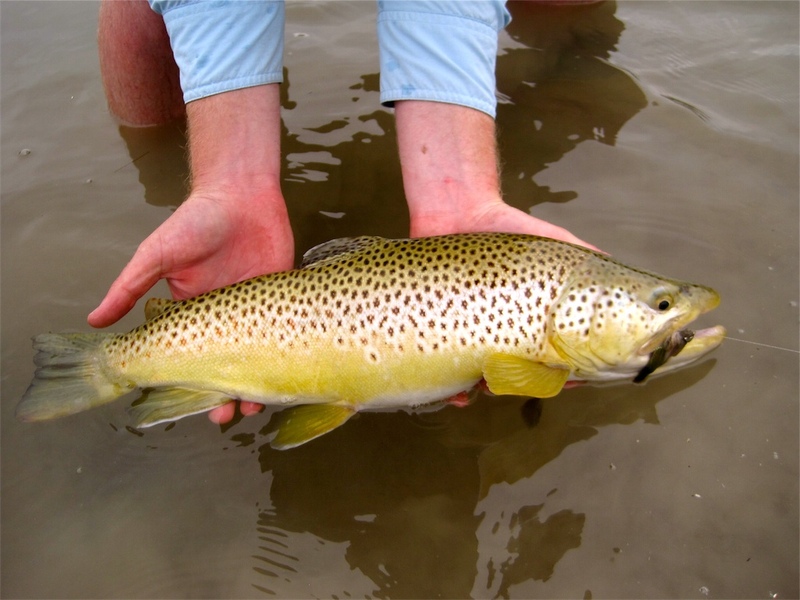 He landed, measured and photographed the 21″ male before letting swim safely into the depths of the river. I gave the hole a few more casts to no avail. We walked up on the last few holes we planned to fish and Kyle announced he had never seen a fish caught in this pool. It looked like a super fishy spot to me so I worked it the best I could and was rewarded with a 20″ male that absolutely hammered my fly to the point I was startled by the impact vibrating through the rod. We started it off right and so this seemed like the best way to end the day. 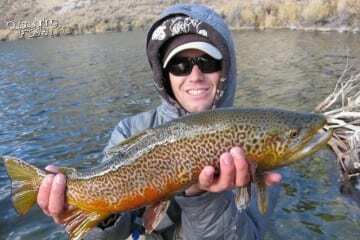 Everyone had landed a 20 plus inch brown with several other good fish thrown in for good measure. Thanks to Kyle’s family for their hospitality and to Matt and Kyle for working the camera! Love it man. Great story. Took me right back. I should have a post of my own this weekend. Heading North on Thursday. Just wait. Got a few posts and one in particular I’m looking forward to slated here in the next bit. And let us know how you do! those are some solid browns. Ahhh….one of my all-time favorites. 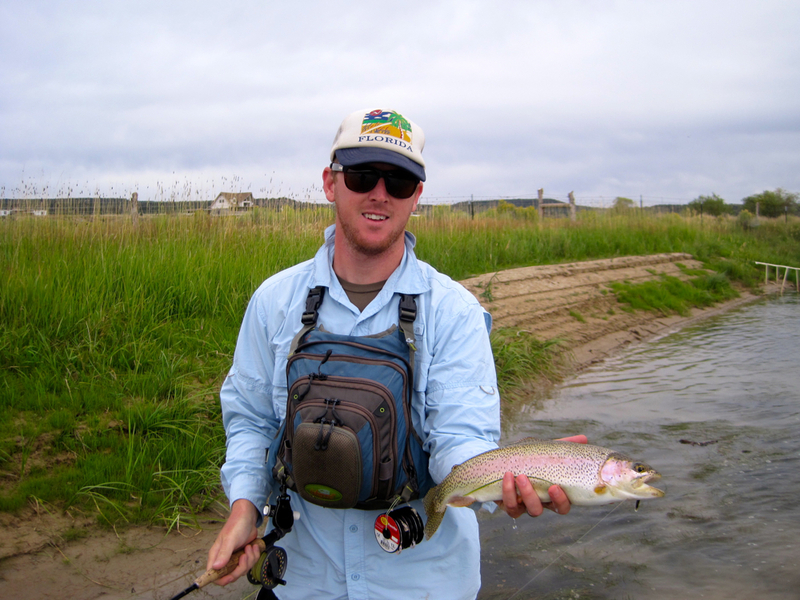 Southern Utah stream fishing is highly underrated….